When your labels are printed on a flexo label press, a new label die (which trims the label into a shape) may be required for unique shapes or sizes. These can cost hundreds of dollars. Flexographic presses also use metal plates, just like regular printing presses, to create the images for each color of the design. A 6-color label will need six plates. Digital label orders from Weber do not require a charge for a die to cut the labels and, because there are no plates, you'll only be paying for one thing– your labels. There can be a lot of material waste associated with flexographic label printing because, during the set up process, the press operator has to dial in the color and align the plates to make the label perfect. But with digital label printing, the waste is minimal. There is basically no set-up needed which keeps your cost down. 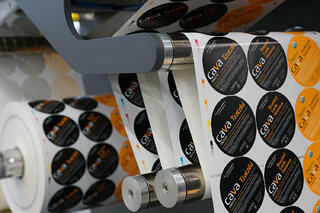 And you can order the exact number of labels that you need, in quantities as low as 500. Often times we have customers telling us that they had to order thousands of labels to be cost efficient, but ended up throwing away hundreds of old inventory that they never needed in the first place. 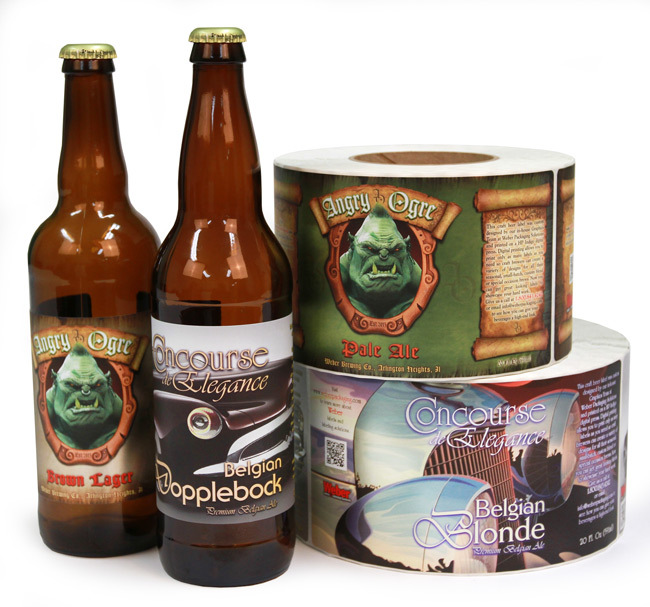 One of the best features of digital label printing is artwork flexibility. As your product line develops you might want to make updates to your label. Even the smallest change on flexo (change a letter, add a color) could cost you at least $100 in a new plate charge. Because plates aren't required with digital, you can easily modify your design and send in revised artwork and get it printed with no additional plate charges. This is great for start up brands or series runs that have several SKUs. Digital printing is not right for every product. Most medical device labels, two color labels or complicated coupon labels would not work well with digital printing. But if you use low volumes of labels for craft beer, spirits, wineries and other beverages manufacturing, food packaging of any kind, and most household products and personal care products, digital may be a way for you to save both time and money. If you have questions about digital labels or want a quote for your product labels, contact Weber.